The next stage is to build and detail the decks. 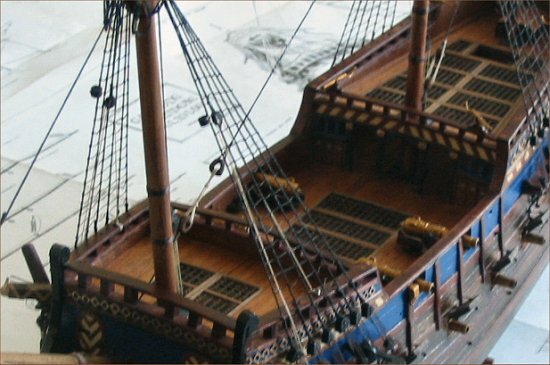 Items such as ladders, railings, guns, hatches, pumps and winches are designed to scale and subsequently created. They are then applied to the deck or hull. 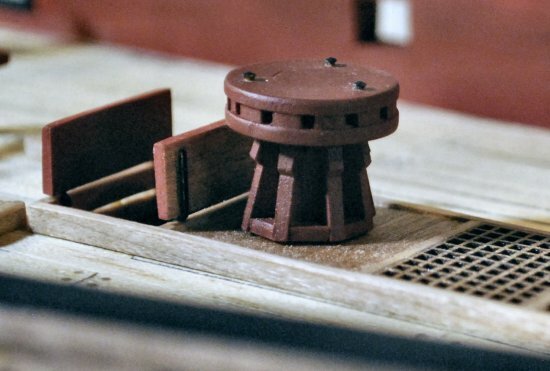 Often the below-deck details have to be applied before the planking of the hull or decks can be completed. All current and future models are considered Admiral Class. 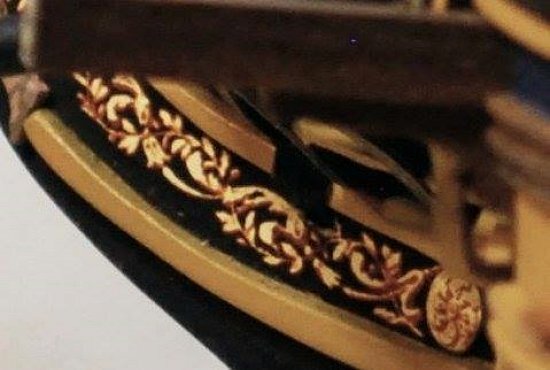 Each and every model is custom designed and created. 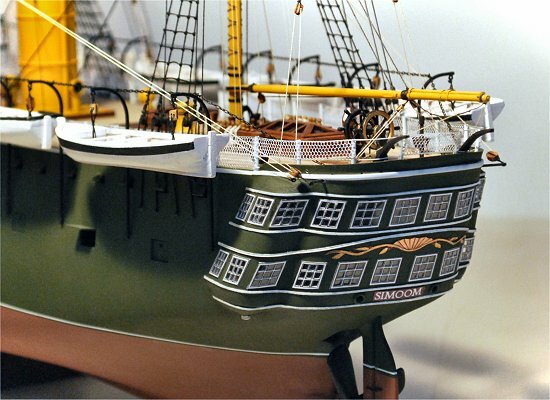 Even though each ship model is completed with all its components and features in place, the level of detail on those components is determined somewhat by the scale of the model. The image above and to the left, shows a carved and painted George Washington straddle-head. The figure is still attached to the stock at the bottom of his boots. To the right, a classical warrior leading the charge. Both figureheads are just about an inch in height. Stern detail of the auxiliary steam screw-driven three-masted 19th-century frigate HMS Simoom.